In addition to attending Sunday and Wednesday services regularly, we invite congregants of all ages to participate in one or more of the following ministries. In our nurseries we use the First Look curriculum, a web-based curriculum that uses exciting activities to introduce preschool children to God. Under the direction of kind and loving teachers, children will be given a first impression of their Heavenly Father and the wonder of His love for each one of them. Our nurseries and children’s classes use KidCheck, an easy-to-use children’s check-in system to ensure your child’s security. 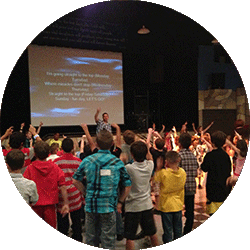 Each child and parent will receive an ID badge upon check in, which will be matched up upon check-out after service. Genesis: Growing God’s Garden is for infants through 3 years of age. Loving nursery ministry workers play with the children, pray for them, and teach them about Jesus’ love through praise songs and age-appropriate toys. Toddlers will learn about the Bible and God’s love through crafts, praise and worship, Bible stories, and will even learn Scripture verses. Calary Kids Jr. is for children 4-5 years of age. In this engaging program, the Bible is taught using age-appropriate puppet skits, games, praise and worship, and crafts. Through Bible stories and a weekly memory verse simple enough for them to memorize on their own, children learn that Jesus will always love them. 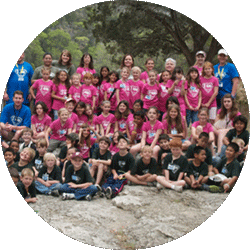 Calary Kids is for children 6 years of age through 6th grade. Each service is jam-packed full of kid-sized fun that any child will love. The Bible is taught through praise and worship, dramas, comedy skits, engaging games and creative object lessons. 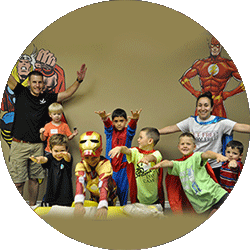 Super Hero Class is for boys 4-6 years of age. Boys learn about God through age-appropriate, fun-filled, action-packed activities. 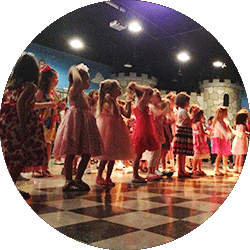 Princess Academy is for girls 4 years old through 6th grade. They are taught who they are in Him as daughters of the King. Survivor Camp is for boys 7 years old through 6th grade. They learn about the character of God through outdoor activities. SWAT (Soul-Winning Alliance Team) is for middle school students in 6th-8th grades. It encourages today’s Christian youth to stand together deeply rooted in Christ, through inspirational Biblical lessons. 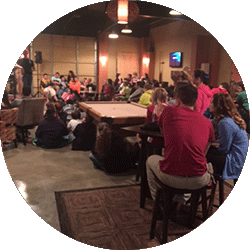 Club 29:11 (Jeremiah 29:11) is for high school youth, 9th-12th grades. The teens are taught that God has a perfect plan for each of their lives, and that His mercies are new for them each and every day. SALT (Single Adults Living Triumphantly) has events posted on the main calendar. Women’s Bible Study will nurture, encourage, and equip you as you grow in your faith. Men’s Fellowship addresses passionately pursuing God’s call for you to lead your family. Primetimers (50+ years of age) Fellowship and activities are held twice a month. See them on the main calendar. 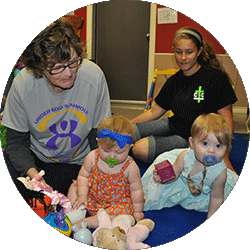 Helping Hands provides meals during times of difficulty or celebration, such as in the birth of a child. Right Start is our pre-marriage class that covers Biblical foundations, financial stewardship, family and parenting, and sexuality. This is required for any couple choosing to be married by a Calvary Temple Church pastor. Please know, too, that your tithes and offerings help to support missions work in Africa through Bread for Life International. Sign up to volunteer! Take the first step and fill out a volunteer application. Click the link below to download the application PDF, complete the form, then email it to info@ctc.church. We meet at 3000 Loop 534 in Kerrville, Texas. Please join us! Sunday services are held at 9 a.m. and 11 a.m.
Calvary Kids and Calvary Kids Jr. meet at 11 a.m.
Genesis childcare is available during every service. Baptisms are held on the third Sunday of every month. Wednesday service is held at 7 p.m.
Princess Academy meets at 7 p.m. Survivor Camp meets at 7 p.m.
Super Hero Class meets at 7 p.m.
SWAT (Jr. high school) meets at 7 p.m.
29:11 (high school) meets at 7 p.m. Check the Events Calendar for special event dates and times.